Build a backyard ice rink: It sounds more difficult than it is, we promise, and the payoff is worth it regardless. All you really need are backyard rink liners, boards, and ice rink brackets; the brackets and boards form the walls and the liner allows you to fill the enclosure with water to freeze overnight. 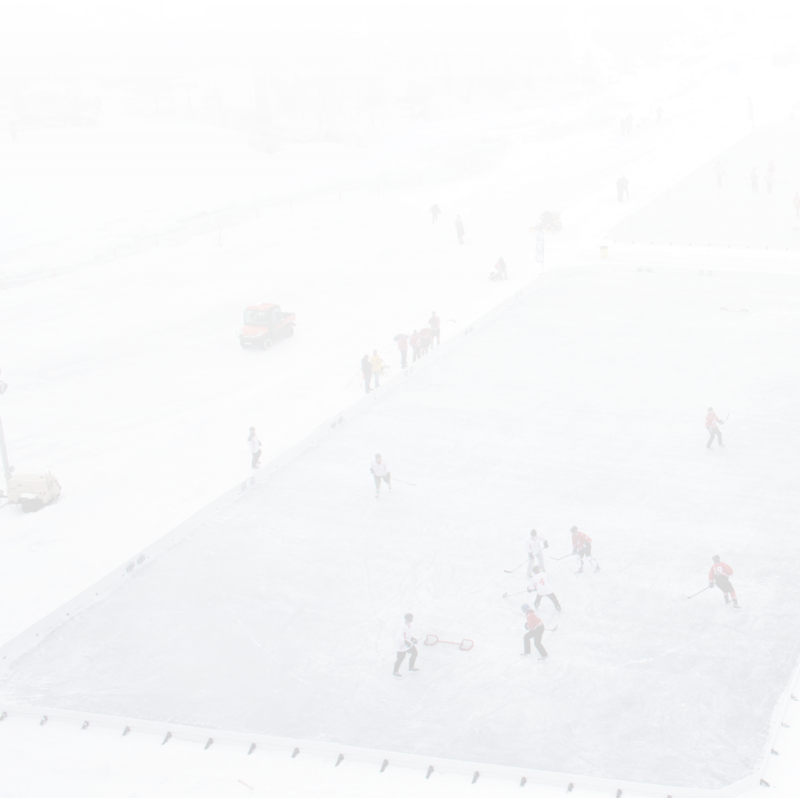 Complete your homemade ice rink with some goals, and get your kids out there! If they already play hockey or ice skate, you can give them their own arena. Invite the neighborhood kids over and watch as your children have more fun in a single day than you've seen them have all year. With the affordability of backyard rink liners and brackets, there's no reason not to transform your boring backyard into the ultimate winter playground. Snow fortress: This isn't your classic snow fort -- think bigger, think badder. This is a fortress made for an epic battle; an impenetrable building that will be able to withstand hundreds of snowballs as they rain down from the sky! At least, that's how you can market it to your kids. With a little bit of epic storytelling, the average DIY igloo can morph into a place of victory or loss, life or death (as long as they're into that kind of pretend thing)! Snowball war: What's the point of a snow fortress if there's no snow war to fight? Like that snowball fight from your favorite Christmas movie, you want your kids to experience the thrill of an all-out battle. Make dozens of the icy balls in preparation for the final assault and watch your children let loose as they have the absolute time of their lives trying to obliterate each other -- and you! Winter doesn't have to be as dull and miserable as everyone seems to think it is. With the right attitude and supplies, you can truly make it the most wonderful time of the year.